THE US BURIAL OF THE INF TREATY WITH EUROPEAN COMPLICITY – The « suspension » of the Intermediate-Range Nuclear Forces Treaty (INF), announced on 1 February by Secretary of State Mike Pompeo, has launched the count-down which, within six months, will count the United States out of the Treaty definitively. As from today, in any case, the USA considers itself free to test and to deploy weapons of the category forbidden by the Treaty – ground-based medium-range nuclear missiles (between 500 and 5,500 km). [Sources: This article is from Manlio Dinucci, see details below. 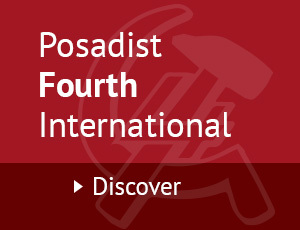 The Posadists reproduce this article to express their agreement, and the need to unite all the working class and anti-war forces to defeat the war of Western imperialism on Russia and China. Editorial Board, 6.2.2019]. The nuclear missiles installed in Europe in the 1980’s belong to this category – Pershing-2 ballistic missiles, installed by the United States in West Germany, and ground-launched cruise missiles, installed by the United States in Great Britain, Italy, West Germany, Belgium and Holland, under the pretext of defending the European allies from the SS-20 ballistic missiles installed by the Soviet Union on its own territory. The INF Treaty, signed in 1987 by Presidents Gorbatchev and Reagan, eliminated all the missiles of this category, including those based in Comiso (Sicily). The INF Treaty was called into question by Washington when the United States saw their strategic advantage over Russia and China diminish. In 2014, the Obama administration accused Russia, without the slightest proof, of having tested a cruise missile (mark 9M729) belonging to the category forbidden by the Treaty. And in 2015, it announced that « due to the violation of the INF Treaty by Russia, the United States are considering the deployment in Europe of ground-based missiles ». This plan was confirmed by the Trump administration. In 2018, Congress authorised the financing of a « research and development programme for a cruise missile launched from a road-based mobile platform ». From Moscow’s side, they denied that their cruise missile violated the Treaty and in turn accused Washington of having installed, in Poland and Romania, launch ramps for interceptor missiles (from the « shield »), which can be used to launch cruise missiles bearing nuclear warheads. In this context, we have to remember the geographical factor – while a US medium-range nuclear missile based in Europe can hit Moscow, a similar missile based by Russia on its own territory can reach the European capitals, but not Washington. If we turn the scenario round, it’s as if Russia were to install its medium-range nuclear missiles in Mexico. The US plan to bury the INF Treaty has been fully supported by the European allies of NATO. The North Atlantic Council declared, on 4 December 2018, that the « the INF Treaty is in danger because of the actions of Russia », which was accused of deploying « a destabilising missile system ». The same Council declared yesterday its « full support for the action of the United States in suspending its obligations concerning the INF Treaty » and told Russia to use the remaining six months to « return to a complete observance of the Treaty » . The collapse of the INF Treaty was also helped along by the contribution of the European Union which, at the UN General Assembly on 21 December 2018, voted against the resolution presented by Russia on the «Preservation and implementation of the INF Treaty» rejected by 46 votes against 43, with 78 abstentions. 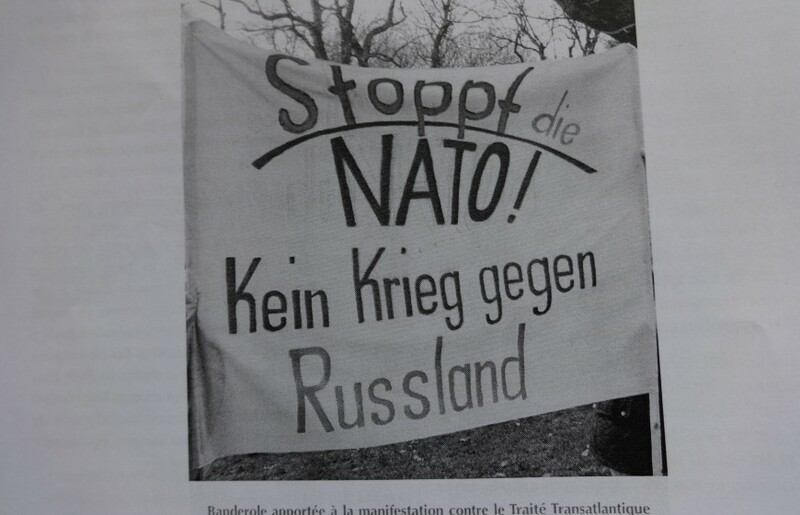 The European Union – of which 21 of its 27 members are also members of NATO (the United Kingdom remains a member while leaving the EU) – rallied unanimously to the position of NATO, which in turn rallied unanimously to that of the United States. In substance, then, the European Union has also given its green light for the possible installation of new US nuclear missiles in Europe, including Italy. On a question of this importance, the Conte government, like those before it, has aligned itself with both NATO and the EU. And across the whole political arc, not one voice was raised to state that Parliament should decide how to vote at the UNO on the INF Treaty. And again, no voice was raised in Parliament to ask that Italy should observe the non-proliferation Treaty and adhere to that of the UNO concerning the ban on nuclear weapons, forcing the USA to withdraw from our national territory its B61 nuclear bombs and not to install, from the first half of 2020, the even more dangerous B61-12’s. Since it has on its territory nuclear weapons and US strategic installations, with the Muos and the Jtags in Sicily, Italy is exposed to growing dangers as an advanced base of US nuclear forces, and thus a target for Russian forces. A medium-range ballistic nuclear missile takes between 6 and 11 minutes to reach its target. A fine example for the defence of our sovereignty, inscribed in the Constitution, and for our security, that the Government guaranteed by closing the door to migrants, but opening it wide to admit US nuclear weapons. 1] “NATO Statement on Russia’s failure to comply with the Intermediate-Range Nuclear Forces (INF) Treaty”, Voltaire Network, 1 February 2019.